Recently, I saw the article about the two ladies at the ball game in power chairs who were blocking the little boy in a wheelchair. There were a wide array of opinions and comments on that article! I have never been skinny. My entire life, this girl has carried meat on her bones! I married and started having children. Because I knew that I always carried extra weight, I never gained more than 25 pounds for any of my pregnancies. That is saying a lot because I have had 6 full term pregnancies! After each child was born, I would lose the weight very quickly. Since my marriage 16 years ago, I have stayed in a weight range about 15 pounds heavier or lighter of my wedding weight. Until….March 12, 2009. 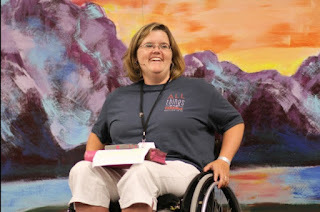 In 2009, I contracted Transverse Myelitis and was left permanently paralyzed. At that time, I was 5 months pregnant with my last baby. I had the same weight gain of about 20 pounds during that pregnancy, but when it came time to take it off it was a whole new ballgame for me. I was now in a wheelchair. For the last 6 years, I have watched my food intake and I have tried to exercise in many different ways. I have the Wii and Gold’s Gym boxing game. I have the Body Blade from QVC. I have done adaptive Crossfit. I have a handcycle, and I love pushing my chair on long family walks. Through all of this, I struggle greatly to get weight off! It is just not the same anymore. I know there are those who are overweight and use wheelchairs because they are so heavy they cannot walk around anymore. There are also those who cannot walk at all and because they sit have become very heavy. Do you know the difference? Neither do I. We should not judge. Personal opinion here, but the statement “fat is not a disability” is pretty judgmental. Even if they are fat, and not disabled, they wish they were not fat more than we do. I think, especially for those of us who desire compassion for our feelings, we should drop that phrase. Why is it so hard to get off the pounds and so easy to put them on? · Our lack of muscles do not burn as much fat. My personal trainer told me that a resting muscle will still burn calories even when not in use. Take the fact that many of us have lost over half of our muscle mass because of atrophy and simple math will show you that we will not burn as many calories as an able body. See this article for more info. · Our lack of mobility make exercise more complicated. There are exercises that we are able to do, but the fact remains that we have lost some. I mean, my jump roping skills are completely gone now. Many of the exercises we do, only focus on the upper parts of our body making us have to focus on not overworking those particular muscles. · Our circumstances can lead to depression. This totally does not include me or many of my friends, however, it is still a fact. Many times, dealing with a disability itself is depressing. That alone can be a cause for less activity and more eating. I know that able-bodied people that are depressed gain weight. I know that those who acquire a disability can now face depression although they never did before. When you put those two together, it is a reason that many people gain weight after a disability. · Our lack of muscle to hold in our stomachs makes us “appear” heavier than we really are. This is a personal appearance aggravation that most of us, male and female, struggle with. It has nothing to do with weight gain or loss (although fat will stick out even extra). I have very tiny friends who still have a pooching belly. We cannot help this, but it does need mentioned because it does contribute to us “looking” like we carry more weight than we do. What can we do to help fight the battle of weight gain? 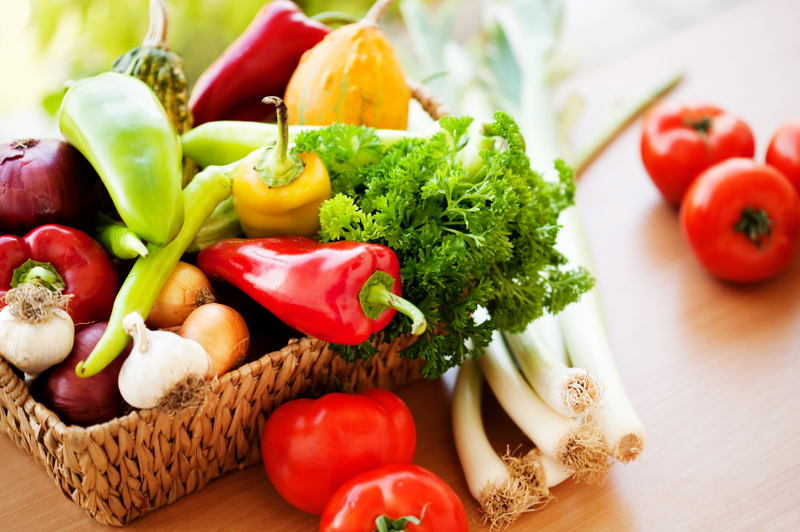 · We should make wise choices about what we eat. I am not a big fan of cutting out everything. However, I am a big fan of cutting back. We must balance. Since the scales tend to fall (pun intended) on the side of us gaining easier, we must be more vigilant as to what goes in. I try to keep it lean and as pure to the original as possible. Desserts cannot be every day for me. A splurge is wonderful but it has to a splurge. Having said that, I thoroughly enjoyed my overloaded hamburger, potato salad, and yummy desserts (plural) on the 4th of July! · We should choose strength training for our muscles. I am not talking about bulking up and competing although you can do that if you like. 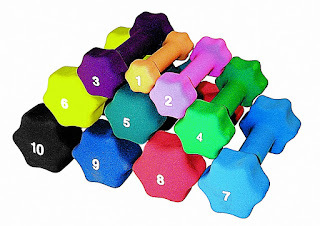 It is very easy to pick up some dumbells at Wal-Mart to get started. If you are new at this, start with 2 to 5 pound weights and work your way up. You can find simple apps to download arm workouts for your phone to guide you through the different positions you need to use to work all muscles. Strength training is the quickest way to build up muscle mass in our upper bodies. It just makes sense that if we have lost muscle mass, then we should build up extra where we still have it to help burn calories. · We should pick something active and push ourselves to do it. If you are fighting depression, you can see your doctor for help. I know that getting out and making yourself do something is the very last thing you want to do, but push yourself. Go to a park and enjoy nature. Call a friend to go with you and just enjoy the time together while you are pushing yourself. Find a local support group and see if someone else in a chair would work out with you. Call a yoga instructor and see if she would offer adaptive yoga. Take swimming lessons. Find a kid and shoot basketball. Just do something. Make yourself pick one thing and do it. Then take note of how you feel right after. There is scientific research that backs up exercising being very beneficial to our moods. · We should use our energy wisely and stop worrying about some of this. There really isn’t much we can do, outside of wearing a binder, to “look” thinner when we do not have the muscles to hold in our abdomen. We can use up our energy to fuss, grumble and complain or we can just let that go. We cannot make those muscles work, so our energy would be much better used to do the above things. We need to be realistic with the image in our heads. I’m sorry, but this girl will never look like a Push Girl. For me to drive myself crazy and stay frustrated because I can’t is a useless waste of my time and energy. However, I can shoot to be healthy and as fit as my body has the potential to be. I can be satisfied knowing that I am making healthy choices and staying active. My body will follow along as it can. NOTE: Always consult your physician before beginning any exercise program. This general information is not intended to diagnose any medical condition or to replace your healthcare professional. Consult with your healthcare professional to design an appropriate exercise prescription. If you experience any pain or difficulty with these exercises, stop and consult your healthcare provider. Alicia Reagan is a wife, a mother to 6 beautiful children and a passionate disability advocate. She is a board member for the SC Spinal Cord Association and is the Director for the Midlands Breeze Spinal Cord Group in Columbia, Ohio. As a motivational speaker and blogger at aliciareagan.com, she educates, encourages and challenges both the disabled and able bodied. Her passion is to BE the change we desire to see.